Home Inspector Scott Cowan, a Utah native, founded Cowan Inspections Group in 2003. After 40 years in the construction industry, Scott was ready to use his experience for a more individual, personalized means of helping his community. Since then, he has been dedicated to applying his extensive background, knowledge, and training to unparalleled inspection services for Utah residents. His level of experience means he can identify issues that might be overlooked by others with less skill. Scott is satisfied only after his customers fully understand the condition of their investments and have the resources they need to make decisions with confidence. 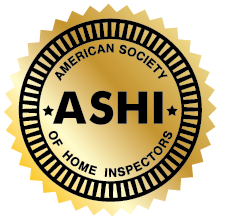 Scott is fully certified by the respected American Society of Home Inspectors (ASHI # 243422), and each inspection meets and exceeds their Standards of Practice, which puts him at the forefront of industry standards. Additionally, he is a member of the Salt Lake City and Park City Board of Realtors and offers agents the convenience of having key box access, so the realtor doesn’t need to be present to let him into a home for an inspection. Scott has the qualifications, experience, and advanced tools to simplify the buying or selling process for realtors and first-time homebuyers alike. Whether inspecting luxury properties or condominiums, Scott treats his customers like neighbors and takes the time to ensure they fully understand the condition of their home. When he’s not providing exceptional inspection services to Utah residents, Scott’s passion lies in skiing. In the 1970s and 80s, Scott was a professional skier and freestyle aerialist. He stays physically active and enjoys performing aerials at his local Park City Olympic Training Center. Jake is a Utah native with 4 years of experience in the Cowan family home inspections business. He’s the son of Scott Cowan and brother-in-law of Bryan Kirkham, who together share a combined 26 years of experience in the residential inspections industry. Since joining his father in the family business, Jake has completed inspection services in many specialized aspects of the industry, including Air Quality Testing, Radon Testing, Infrared Imaging, Business, Commercial, and Residential Inspections. Before performing inspections with Cowan Inspections Group, Jake attended Dixie State University for 3 years, the ALMA Culinary Academy in Colorno, Italy, and graduated from the International Culinary Center in Manhattan, New York. Franklin has a previous work history as a communication and low voltage tech for nearly 10 years. Through his career as a technician he has accomplished many awards and recognition by his previous companies. He has trained and lead new employees to also achieve great success. 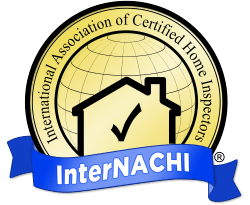 His passion for helping and educating people has lead him to his career as a home inspector. Originally from Guam, Franklin has resided in Las Vegas, Nevada and Seattle, Washington before settling down in Utah with his wife and two daughters. When Frank isn’t working he enjoys exploring the outdoors, teaching his daughters to fish, catching up on his honey-­‐do list and spending time with his friends and family.